Have you ever wondered how to find the current registered hybrid name for all those seedlings you bought years ago (like Cymbidium Red Beauty x Cymbidium Son of Freak)? 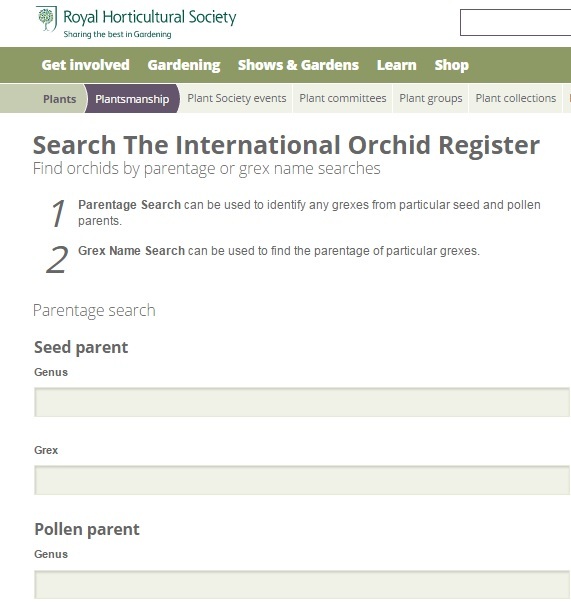 This is a handy way to search for those orchid crosses, and it is Free! The RHS updates every 3 months. Click here to go to the International RHS Orchid Register. And speaking of orchid searches, I am a big proponent of a software program you can purchase for your very own called OrchidWiz. 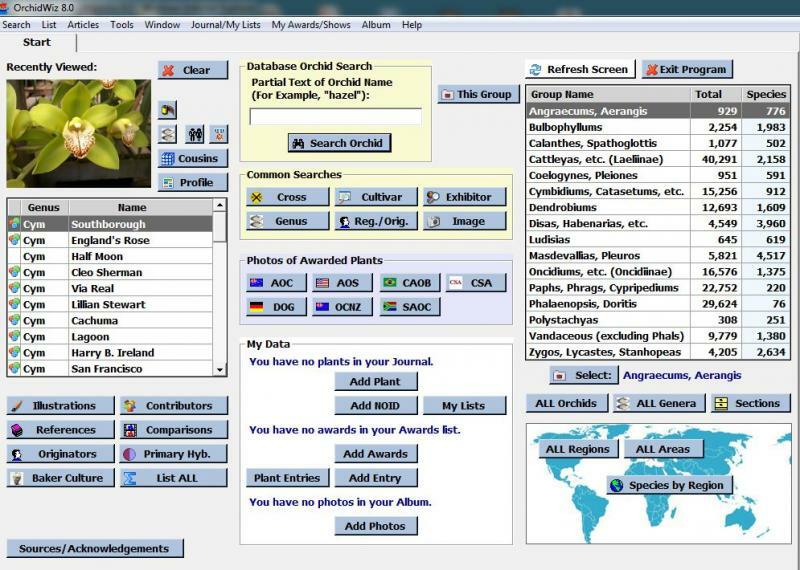 They have thousands of photos of species and hybrids of orchids, Cultural & growing information, geneology charts, Awards data, areas for you to collect data aout your own plants. Anyone who is seriously interested in studying or hybridizing orchids, this program is a must have. I am ALWAYS using mine !